Affected government workers can fill out online form to receive tickets. 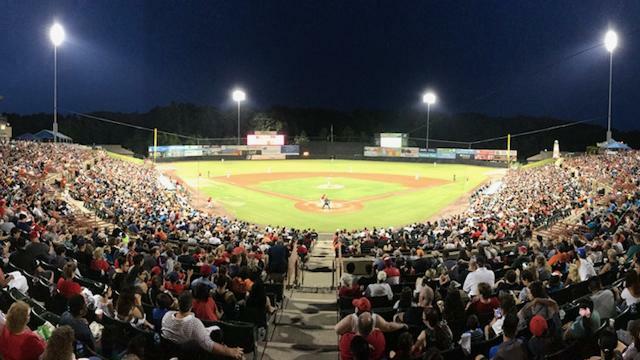 BOWIE, Md - The Bowie Baysox invite all government employees affected by the 2019 shutdown to register for a pair of free tickets to our April 12 "Beltway Battle" matchup against the Harrisburg Senators, Double-A affiliate of the Washington Nationals at 7:05 p.m.
Any furloughed employee with a valid government-issued photo identification can receive two free tickets to the April 12 game by going to the Baysox website (www.baysox.com) and filling out the "Government Shutdown" form online by February 15, 2019. All registered government employees will receive e-mail notification from the Bowie Baysox in mid-March with instructions on how to obtain their free tickets to the Bowie Baysox game on April. Any additional questions can be sent in an email (info@baysox.com) and a member of the Baysox front office will answer promptly.